I have a 1969 M20C. I need the complete Dimmer / Light test section. The one I have does not work. Is anyone parting out their aircraft and have this part? Usually, it's just the pricey little fusses that need replacing. If there's a reason one of them blew, a new dimmer panel will also fail. Find the issue before you plug the new unit in. It’s painful but you can replace parts on the board/in the light control box if that truly is the issue. You can take it out of the plane and troubleshoot it at the pin level. I’ll help if I can. I have the schematic for that box someplace. Bill Wheat himself sent it to me. If you or someone you know wants to trouble shoot and repair it send me a PM. I"ll see if I can find it. I also have spares parts for every competent if you have trouble finding what you need. Someone once posted an alternate source for those fuses...a significant saving. Anyone? It costs 4 times as much. I have brand new transistors for these.. I'd look at the max pulse / maxdim replacement units. Gives you a chance to get rid of some old wiring, with correct paperwork and replace with modern technology. As it happens I'm having trouble with my 1970 E dimmer unit, too. Welcome any suggestions/comments. Everything in the unit functions except the panel lights do not come on at all when I rotate the dimmer/switch. At one time I could see a very faint light coming from behind the panel when I turned the rotary dimmer switch on. But now I don't even see that. Is it likely a problem with the dimmer/switch? Or just a fuse or resistor/capacitor that is part of the assembly? I've checked with Mooney and apparently the unit is not longer available, so I'm likely looking at finding a used unit somewhere or repairing mine, and to be honest, I'm not sure where to start. Update: I just saw @Aerodon's post regarding max pulse/maxdim units. So there is an alternate replacement option if repair is difficult? If your light control box is like the one pictured above, I'd absolutely go with the max pulse/maxdim. These are good products. If you have the box with integrated push-to-test and photocell dimming circuit, it will be more difficult to replace but do-able. There are two distinct lighting circuits separate from the PTT/annunciators and auto-dimming circuit. 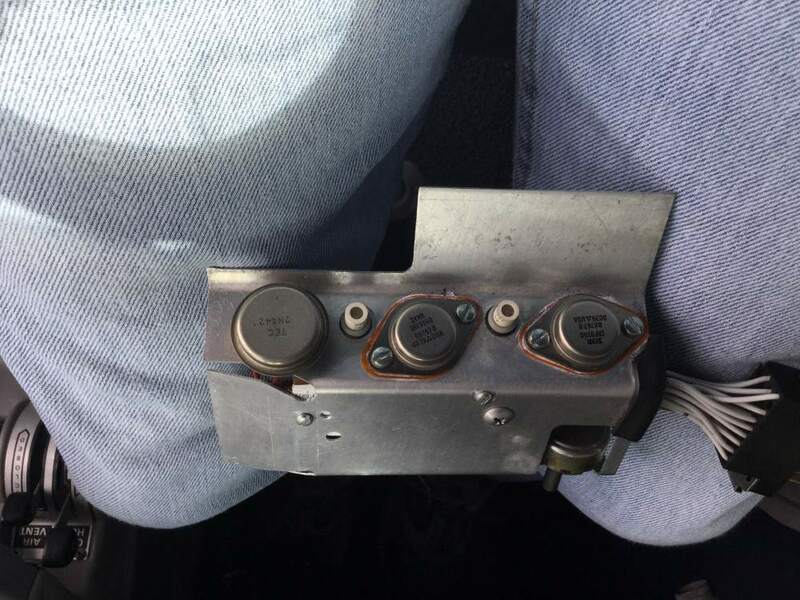 @SkyTrekker if your fuses are good, I'd guess your rheostat/switch is bad. Below is another thread where I was trying to help someone else. (One of) The original rheostat switch(es) was an Allen Bradley JS1N040P251MA. It can be a bit painful but they can be fixed. Thanks for the helpful information! My control box is not like the one pictured in this post, but it is exactly like yours, as pictured in the post you referenced. Will see what I can figure out. 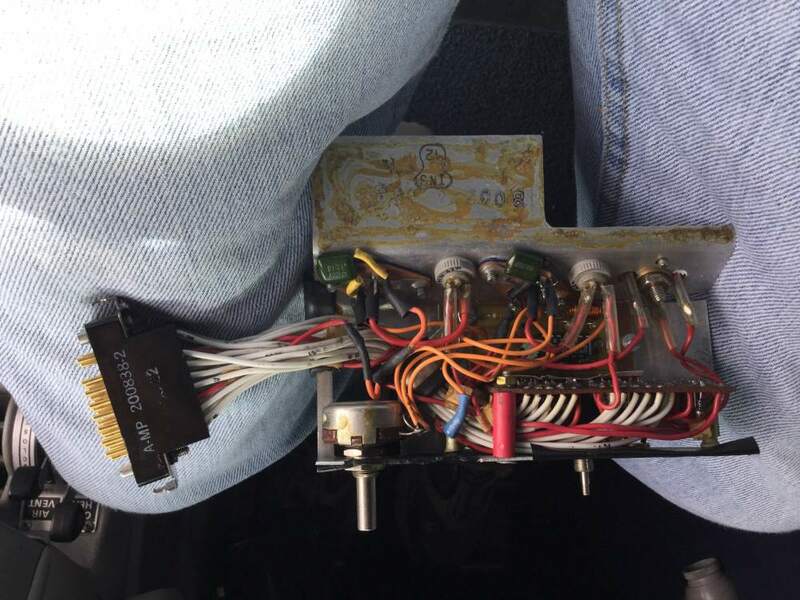 Freemason - I have the light test/dimmer switch in my ‘69 Mooney just like in the faux wood dash picture! The light for the high output is not working. Any idea where to start? I got it to work once but I moved the box and I can’t get it to work again. Short somewhere? Is that the only light not working? Works when PTT is actuated? Works when system annunciation? Will be able to answer better in a few hours when I get home. I’ll second that big time. If your light control box is only power transitores like the picture above, the maxdim or max pulse would be the way to go. An integrated box with push-to-test and photocell dimmer would be more complex. Yep, I have the push-to-test/dimmer switch box standard for a ‘69 to ‘74. The high vac light is the only light not working.